Most of us can’t live our lives a quarter mile at a time. Because most of us wear shirts with sleeves, and don’t live inside of a fictional multibillion dollar racing underworld where explosions from souped-up rice rockets are as common as mile markers. Yet apparently, many of us still long for the life of a ‘Dom,’ and the simple pleasures that come along with outrunning a scud missile at more than 180 mph. 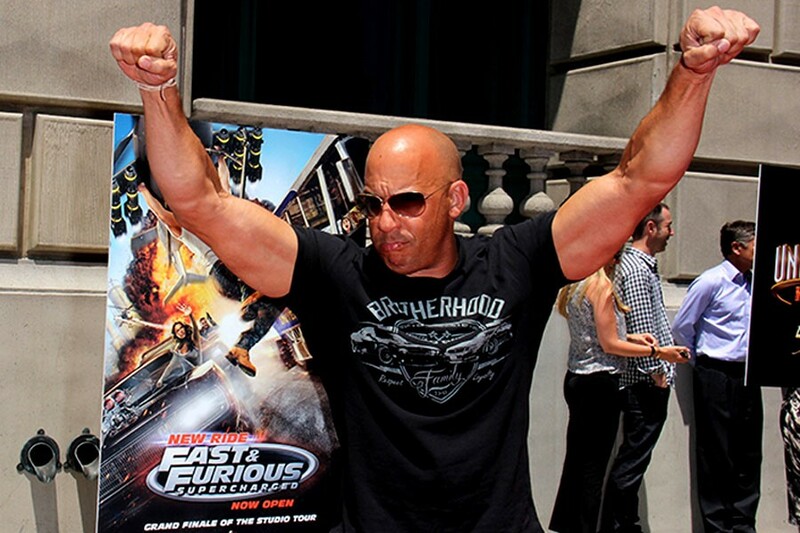 Case in point: According to a recent analysis on the impact of the Fast & Furious franchise, conducted by Anupam B. Jena, an economist and physician at the Harvard Medical School, just watching Dom and the gang in action can inspire moviegoers to do some dangerously fast (and furious) driving themselves. As for what’s behind this monkey-see, monkey-do behavior, Jena doesn’t have concrete answers, but he does have a theory: “I imagine most of the effect that we observed is among people who were prone to drive fast anyway, and as a result of watching the movie, they simply drive faster.” In other words, these people were probably attracted to the movie in the first place because they already liked the idea of driving fast (and furious, presumably), and seeing their fantasy played out on screen only exacerbated their tendencies. Jena says that he wasn’t able to assess whether the effect was stronger among men versus women. “This is primarily because we looked at data from only one county, and there simply wasn’t enough data to further break down the analysis into men versus women,” he says. Still, Jena thinks it’s reasonable to predict that, given men are generally more likely to drive fast than women, most of these imitators were men. Nonetheless, next time you’re thinking about hitting the nitro button when the light turns green, always remember these words of wisdom from the franchise: “Too soon, junior.” And save it for the racetrack.